It’s the feeling every tennis player dreads…a tenderness in the elbow area. That tenderness could mean months off your team’s roster, weeks without hearing the pop top of a tennis can, or even resorting to the treadmill for exercise. Let’s look at some ways to avoid these awful choices and get you out playing as soon as possible! At the first sign of pain, take ibuprofen to reduce inflammation and ice the area. 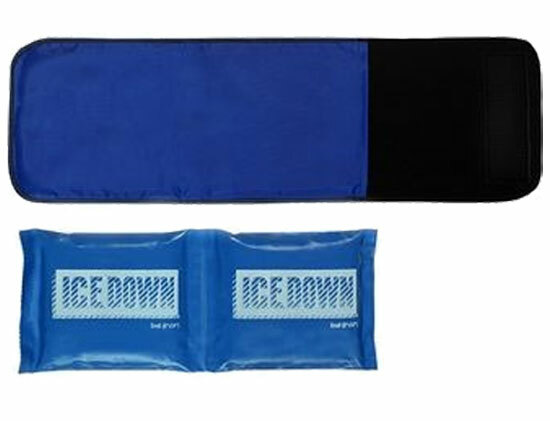 We recommend using an ice pack that’s reusable and has a velcro wrap to hold it in place around your elbow area. The gel inside these packs freezes faster and stays cold longer than conventional ice, making it more convenient in the long run. Let’s face the truth – If you have to refill a ziploc with melting ice and figure out how to secure it successfully around your elbow each day, things become complicated. Complicated means that you’re less likely to ice down as often as you need it. Once you’re ready to hit the court again, you’re going to need a brace that applies pressure to the extensor muscle in your elbow. The Aircast is a popular choice because it applies pressure in the correct area, without constricting muscle movement all the way around your arm. The adjustable fit is great for men and women, because it fits up to a 13″ circumference. Even when your pain goes away, you should continue to wear the aircast in order to prevent re-injury of your elbow. Another popular option is a brace that constricts the extensor muscle all the way around your elbow. This is a good choice for players that experience pain on the inside and/or outside of the elbow. A lot of tennis players cross over to play golf occasionally, which can cause strain in a different area of the elbow. With this brace, you’re covered for both sports. It provides 360 degree support and it’s adjustable from a 7″ to a 15″ circumference. The Mueller Brace is a lightweight and durable neoprene that’s comfortable enough to wear all day and can be easily rinsed after a long, sweaty day on the courts. 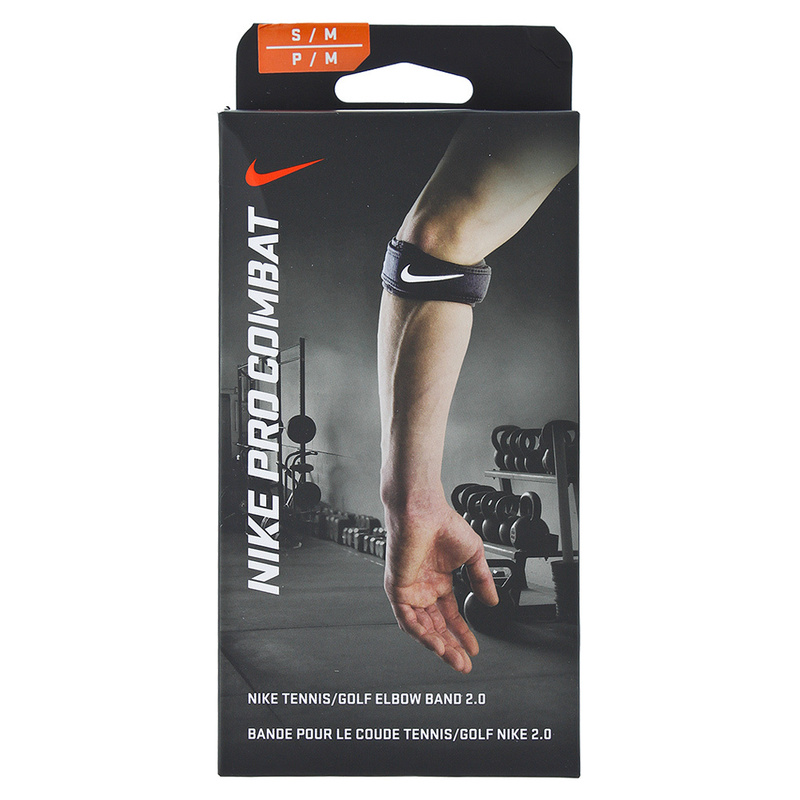 The Nike Pro Combat Tennis Elbow Band is an elastic strap with strategically placed padding. You’ve even seen NBA players wearing this band, so you know two things: it works well and it washes easily. We even noticed that some athletes like Serena Williams and Milos Raonic wear arm sleeves to keep arm muscles warmed up and loose during play. 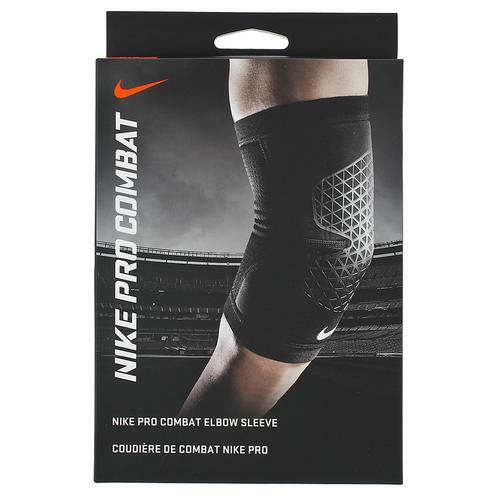 Nike Compression Sleeves not only help your muscles stay warm, they also support your joints and help you recover more quickly after a day on the courts. If the pros need that kind of support, then recreational players shouldn’t shy away from taking advantage of these braces and sleeves to help us play longer and pain free! The reasons for tennis elbow can be anything from poor technique, improper grip size, or string type and tension. Make sure you address the root cause of your pain, so that you don’t place too much stress on your elbow and cause more damage over time. If you think your racquet, grip size, or strings are an issue, talk to a racquet expert that can make some suggestions. You can even use a demo program to try out some new gear before committing to your next purchase. Don’t let elbow pain keep you from the game you love. Take care of yourself, so you can get out there and play!